What’s Poppin’ Tonight! 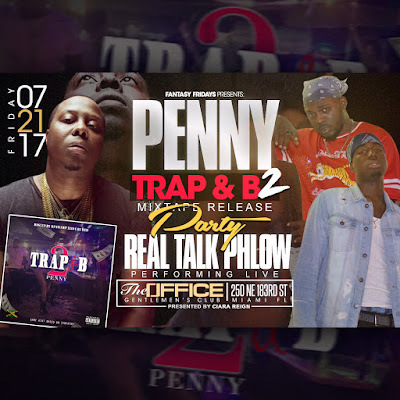 #FantasyFridays presents Penny ‘Trap & B 2’ Mixtape Release Party + Real Talk Phlow Performing LIVE + More at The Office Miami ~ Phresh Hott New! Tonight! Ciara Reign presents Fantasy Fridays with Penny ‘Trap & B 2’ Mixtape Release Party featuring Real Talk Phlow LIVE Performance and more at The Office Gentlemen’s Club. BRINGING THE WHOLE CITY OUT!!!!! !